The progressive curriculum of Heilkunst therapeutics moves logically up the chain of our four bodies, from the physical up to the etheric, then astral, and finally into the ontic organization, which is our sense of self. The lower three bodies correlate to the three kingdoms of nature (physical body = mineral; etheric body = plant; astral body = animal), and then our ontic organization is uniquely human. This ontic organization can be called our true self, and is the seat of our self-consciousness, and sense of “I am”. Like all aspects of physiology, it functions as a living polarity, and we have both an “upper” and “nether” ontic organization. 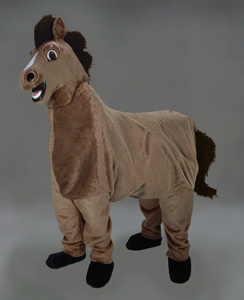 Think of the horse costume you rented for halloween, where your spouse filled in the head portion, and you wore the back end. Walking around gracefully required a well-choreographed movement between the two of you, in order to properly portray the horse as if it were one unitary being. This very same living polarity which we must mimic inside the horse costume is also a real phenomenon within us, and one of the higher goals and expressions of health is to display a true sense of co-ordination of all our functions. Even at the physical level, you can usually quickly identify if someone moves their physical body around the world with smooth, graceful movements, or if there is more of an intrusion of awkwardness or clumsiness. The same can be transposed into observations of the functions of the etheric and astral bodies, as well. This co-ordination is a by-product of a healthy relationship between our upper and nether ontic, who represent a form of marriage within us. The false ego, who is another character on this scene, acts as a kind of chaperone who is always getting in between them, and keeping them from having a complete conjugal relationship. There is an important function that the false ego has in our early development, but it generally overstays its welcome, and must be forcibly removed from its post at the time it has fulfilled the course of its duties, when we reach the age of maturity. When it does overstay its welcome, we will be witness to any number of blockages in our health from the physical level, through the functional level, and all the way up into the psychological level, as well. The type of energy which the false ego runs off of is one which drives us towards choices based on attraction rather than resonance, and you can think of sugar or junk food cravings as the archetypal model for this. In the next blogs in this series, I’ll present some of the Heilkunst approaches used in dealing with this false ego, and how we work to actively destroy its function, and allow the true self (conjunction of the upper and nether ontic) to take its dominant position in our make-up.